When spring rains pour down or hurricanes come ashore, people must be saved from the rising floods. Their rescue may require the use of watercraft. 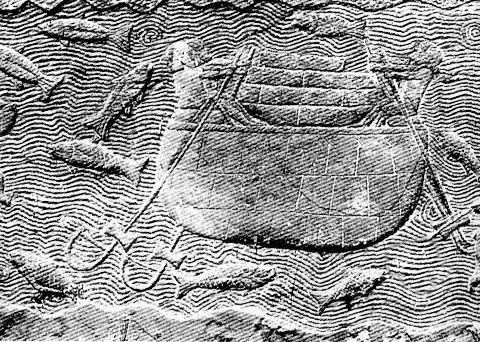 I've rewritten an ancient tale of a boat like the one in the carving on the right. During a particularly destructive flood, this boat stayed afloat for two whole weeks. Four men were saved, along with their wives and their crates of livestock. Afterwards their leader told a fish story, claiming that they had drifted out there on the water not for two weeks but for twenty. In my narrative he repeats this tale to his grandson, with grandiose embellishments. But there's a happy ending: A Promise in the Clouds. I don't often take offense at things people say. But two comments from the past have always bothered me, and now is as good a day as any to grumble about them.  On August 11, 1984, before recording a radio program during his reelection campaign, President Ronald Reagan tested the microphone by intoning: "My fellow Americans, I am pleased to tell you today that I've signed legislation that will outlaw Russia forever. We begin bombing in five minutes." He was obviously playing around. Perhaps he was poking fun at his own image (opponents had accused him of being a reckless cowboy). And outsiders weren't supposed to hear what he said. But it did leak out, and some voters were unnerved. According to PBS, Reagan lost seven points of his lead in the polls over challenger Walter Mondale. Jokes are fine, but no sitting president should have made this joke. For one thing, it's very bad diplomacy for our head of state to threaten, even in jest, to blow away another nation. Worse than that, the one person we least want to talk lightheartedly about starting World War III and destroying the world is the person who has the authority to do that, the man who has his finger on the nuclear button. Careless thoughts should never even enter the mind of a leader who takes such an awesome responsibility seriously.  On September 17, 2001, CBS Evening News anchor and managing editor Dan Rather appeared on the David Letterman show. This was six days after the destruction of the World Trade Center towers. The question was how America should respond, and no one seemed to have a clear answer. Rather deferred to "my commander in chief," President George W. Bush. He said, "George Bush is the president. He makes the decisions, and ... wherever he wants me to line up, just tell me where, and he'll make the call." If Rather were in the military, the President would indeed be his commander in chief, and orders passed down the chain of command would have to be obeyed. But a newsman has a different job. In fact, his position should be completely the opposite. It's a journalist's responsibility not to blindly accept government declarations but to bring them into the light, raising questions, exploring alternative possibilities, so that the people can decide. As a private citizen, you can choose to fall into line with whatever the President or the governor or the mayor tells you, especially if you happen to be of the same political party. But a journalist must not take government handouts from either party at face value. A journalist must be ready to ask the hard questions. The Board of Trustees at Oberlin College includes alumni representatives. This month, we learned the two winners of four-year terms in our 2018 Alumni Trustee Election. As candidates, each of them received my vote. I was first attracted to Oberlin by its rich intellectual legacy. As a kid from the U.S.-Mexico border who had extremely limited knowledge about liberal arts colleges, Oberlin stood out from the other schools. Its commitment to diversity and social change was more than hollow recruitment marketing. After visiting the campus, I had more than an attraction  I had a purpose. The visit revealed the passion that students have for life, for intellectual honesty, and for a better world. I knew instantly that this was the place for me. Oberlin is still relevant. During a campus visit to Oberlin about a year ago, my daughter attended a well-organized student activity on the struggle of undocumented immigrants. One of the important challenges this generation faces is the task of protecting immigrants. While Oberlin has served as a refuge for people facing hate and discrimination throughout our history, its most important role has been to serve as an institution that educates and empowers students to become agents of change. We must continue to lead in meaningful ways against the growing attack on human and civil rights in our nation. Oberlin still nurtures the kind of leaders that espouse the values our world needs. 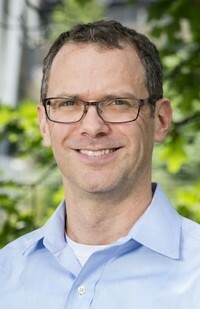 The other is Jay Whitacre of the class of 1994, a scientist in Pittsburgh. He worked at Cal Tech's famous Jet Propulsion Laboratory until 2007, when he became a professor at Carnegie Mellon University. He's currently the director of CMU's Energy Institute. One of the few pieces of advice my father gave me was get a good liberal arts education and it will be with you the rest of your life  which, it turns out, is true. I took this advice to heart. My non-conformist tendencies, love of music (and desire to keep performing), and my desire to major in the sciences led me to shortlist Oberlin early in my college selection process. Once I visited, I was sure that this was the place for me. It felt like home. Today, I focus on work that has a real- and near-term possibility of improving the quality of life for others. A future that uses drastically less carbon-intensive fuels is necessary. Renewable energy is a true passion  not only the technologies but also the policy hurdles and economic challenges that must be addressed before meaningful full-scale progress can be made. The mentorship and guidance I received from an Oberlin physics professor, John Scofield, helped define my career. I watched him work with a range of people from other disciplines and learned that thinking holistically  even considering economics and policy  matters greatly, even when conducting basic research. I came to see that there were many different ways to approach a problem. Oberlin helped me come into my own, and so of course I'm eager to return the favor. Most of the alumni pool (and the Board as well) have a background in the humanities, social sciences, or performing arts. A smaller fraction of us hold degrees in the sciences. A new member with this background increases board diversity while providing deeper support for issues and opportunities that involve the natural sciences. I recently had a long car ride with someone with a very different political perspective than myself. There were initial barriers based on liberal versus conservative. I explained that, to me, liberal is not a set of static beliefs or political dogma but is rather a state of mind that values openness to all possible aspects of a topic. Most issues are nuanced/not absolute, and common ground can often be found. We started by agreeing on some basic facts; this helped greatly, and we ended up realizing we agreed on much more than one would have imagined. The core values Oberlin has perpetuated are deeply needed in today's culture. The one value that stands out is the concept that things can be different depending on from what perspective they are viewed. Before judging/acting on anything, one must seek out multiple angles to understand how someone else may be feeling. 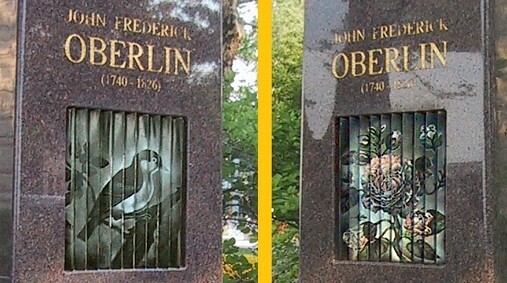 John Frederick Oberlin, the pastor for whom the college was named, used a similar fanfold picture for counseling. His message was that people with diverse perspectives can nevertheless live in friendship with one another. JULY 17, 2018 H&R WHO? Well, it's been 90 days since the filing deadline, and I haven't gotten any angry letters from the IRS, so maybe I did my taxes correctly. 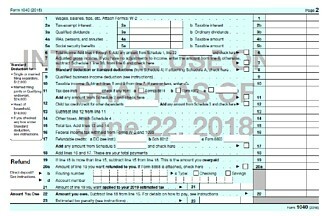 As the Republicans promised, I understand the IRS will be condensing next year's two-page Form 1040 into the size of a postcard. That sounds good to voters who don't like to pay taxes anyway. But it turns out to be an oversized postcard  5" x 8", with fine print on both sides. 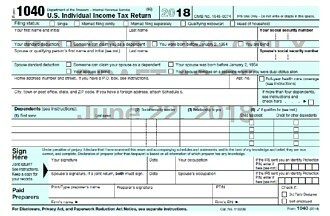 However, before most of us can determine what numbers to enter on the 1040, we still need to fill out supplemental schedules. And there will be at least six new schedules next year. I stubbornly insist on filling out my own tax return, as I have all my life. It's a challenge, like working a puzzle. When I was younger I wrote the numbers on paper forms with a pen, but nowadays I download blank PDFs and type in digits; then I print out the pages and mail them in. Still, I do come up with all the numbers myself. I don't completely trust tax-preparation software, nor do I wish to surrender my documents to an overworked human preparer who's a stranger to me. But if the tax code gets any more complicated . . . . I didn't click on it. Speaking for myself, that's not an enticement, it's a turnoff. I avoid beaches with their merciless heat and unrelenting sunshine. My ancestors didn't come from the blistering sands of the Middle East. They grew up in the sheltering forests of northern Europe. 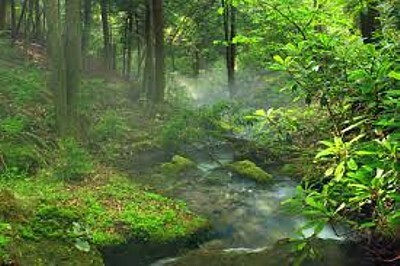 For my special retirement, I prefer lush green grass with softly flowing water and lots of shade. That's why I'm still in Penn's Woods (Pennsylvania). I'm intrigued by the names of a couple of storefronts, side by side in the Franklin Village Mall near Kittanning, Pennsylvania. They remind me of controversial subjects. 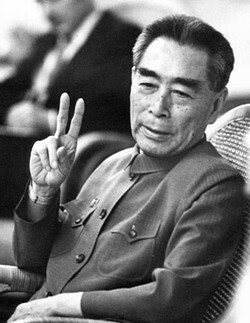 I recall reading about diplomat Zhou Enlai (or ). As Mao Zedong's right-hand man, Zhou was the Chinese premier from 1949 to 1976. Back then Americans called it Red China and spelled his name Chou En-Lai. Pro-choice people believe a woman who doesn't want to bring a child into the world right now should not be forced to do so. Avoiding childbirth by whatever means, from contraception to abortion, is her choice to make. Pro-life people believe that a fetus becomes a baby when it can perceive pain, or perhaps when its heart begins to beat. Or perhaps when it's only a gleam in its father's eye. Avoiding childbirth by whatever means, from contraception to abortion, is baby-killing. 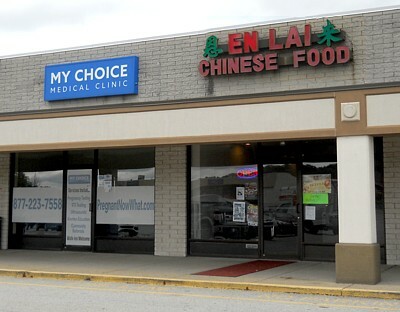 Therefore choose life! urge the fervent pro-lifers inside this storefront, quoting Deuteronomy 30:19. Their counseling center is called My Choice Medical Clinic  a deceptive name, because they're not medical doctors and they're the opposite of pro-choice. They will do anything they can to convince a pregnant woman to bear her child, even if it will be unwanted and unloved. My Choice has three locations in this area, and according to this article, there are more than 4,000 such fake reproductive health centers in the nation. JULY 10, 2018 NOT SO QUICK, BROWN FOX! What's noteworthy about typing this supplication? Inspired by the 2017 New York Times Crossword No. 0802, I imagined that the city was dealing with riots protesting ambiguous clues in recent puzzles. but the mayor rudely tossed out my proposed amendment. and the two groups joined forces to fight with the anti-cluers. though the mayor sanctioned him afterwards for that decision. 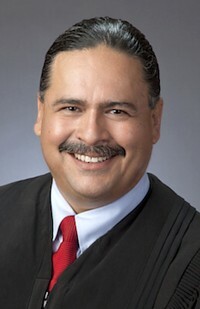 The outgoing mayor will leave office in January. Good riddance! Our new mayor-elect has a much more outgoing personality. although some committee members recommend that he resign. Our committee does have oversight over the police, you know. I feel that our failure to act in this case is an oversight. because the judge decided to continue the case until next month. Please rise for the Anthem. Can possess, conquer, my country's heart. They rise to fail. When no flags flew and no armies stood, my land was born. And you ask me why I love her, through wars, death and despair. She is the constant, we who don't care. And you wonder, would I leave her  but how? I cross over borders but I'm still there now. My land's only borders lie around my heart. We open today's Independence Day services with a hymn by Lloyd Stone, to the tune of Finlandia by Jean Sibelius. A song of peace for lands afar, and mine. I'm proud to be an American citizen. Americans can express pretty much any opinion without having to worry about being taken away by the government. We can criticize ourselves and adapt to a changing world. We are entrepreneurial and optimistic. On the other hand, as Americans we run the danger of being too full of ourselves. This country song from the Charlie Daniels Band, "In America," enjoys some popularity in the redneck states. It also gets played here in Pittsburgh because it praises our fierce loyalty to our football team. And a lotta people sayin' that America's fixin' to fall. We've got a thing or two to tell you all. Yeah, we're walkin real proud and we're talkin real loud again! Now the people in the Bible Belt may disagree with me, but I don't think that supposedly God-fearing Americans should strut arrogantly around the world, loudly claiming to be better than everyone else. Are not Christians taught that our neighbors include even the despised Samaritans? And are we not taught the Golden Rule, to love our neighbors as much as ourselves? I wasn't brought up to be a boastful loudmouth, or an impatient aggressive driver, or a member of a drunken mob of fans eager to avenge any insult. I wasn't brought up to mistrust everyone outside my city or nation or religion or ethnic group. For some reason, I have trouble with because (typing becuase). I think I get it wrong more than I get it right. The worst part is, I once clicked Add to dictionary instead of correcting it, so now I don't even get the spell-checker's wavy red line under it to remind me I'm wrong. Is it possible to Delete from dictionary? It didn't result in a win, but Pittsburgh Pirates manager John Russell last night flouted National League tradition by having his pitcher bat eighth in the order instead of ninth. However, once you get past that point, these two batting orders are, for practical purposes, identical. In later innings, Doug Mientkiewicz bats before the pitcher and Jack Wilson after. It doesn't make a bit of difference whether you call those hitters 8-9-1 (traditional) or 7-8-9 (last night). Here's another way of looking at it. The nine batting spots are in a rotation. 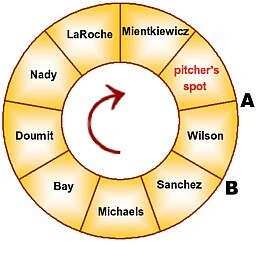 Traditionally, a team begins the first inning at point "A" and proceeds clockwise around the wheel, thereby delaying the appearance of the weak-hitting pitcher as long as possible. However, last night the Pirates began the first inning at point "B." After that, everything proceeded normally. If you're a traditional "leadoff hitter," you have two roles. In one, you're the first batter in the game. Last night Sanchez filled that role, and he led off the first inning only. In the other, you hit after the pitcher; when the pitcher makes the last out of an inning (as he often does), that means you bat first in the next inning. Last night Wilson filled that role, and he led off the third and the seventh innings. There is precedent in the National League Central. St. Louis Cardinals manager Tony La Russa has batted his pitcher eighth for the past few years, and at the beginning of this season the Milwaukee Brewers did likewise. "I can understand why the Cardinals do it," Russell told Paul Meyer of the Pittsburgh Post-Gazette, "because they have Albert Pujols batting third and it gets another guy on base in front of him." So why, I wonder, don't they simply move Pujols to fourth? "There are a lot of different ways to look at it," Russell continued. "Doug [Mientkiewicz] is our most patient, work-the-count, get-on-base guy. . . . We put him in front of our pitcher, and if they want to pitch around him, he'll take the walk. If Doug gets on, Paul [the pitcher] can bunt him over. Or if he gets on with two outs and Paul makes the third out, Jack [Wilson] leads off the next inning; then we have the top of the order coming up. It's mainly just to add a little more offense, maybe get a few more guys on base and help turn the lineup around." Poppycock. I say again, Mientkiewicz bats before the pitcher and Wilson after, and aside from the first inning, it doesn't matter whether you call them 8-9-1 or 7-8-9. The only purpose is to confuse the rest of us as we fill out our scorecards. JULY 1, 2018 WHERE'S THE ERASER? It all happened in July of 1968, when I also pondered succotash and double-digit bowling scores and wondered where I'd go after college.